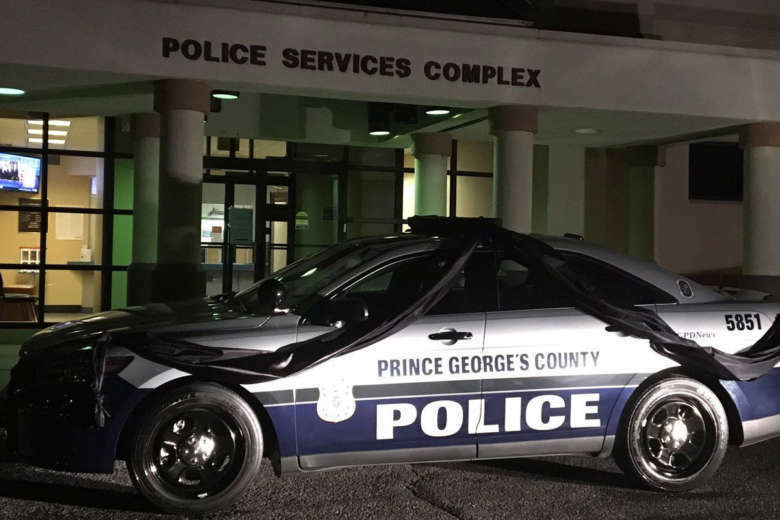 An advocate for victims of domestic violence said the murder of an off-duty Prince George's police officer by a man with a history of domestic violence is a sign that that more needs to be done to keep guns out of the hands of abusers. WASHINGTON — A police officer killed defending a neighbor from what investigators said was an abusive estranged husband is shocking, but not uncommon, according to Darren Mitchell, interim director of the Maryland Network Against Domestic Violence. “Tragically, third parties, and especially law enforcement officers and other interveners, are often the victims in these cases as well,” Mitchell said. Glenn Tyndell, the man who shot and killed Cpl. Mujahid Ramzziddin, had a record of abuse. Prince George’s County State’s Attorney Angela Alsobrooks said Tyndell’s record should have kept him from having the gun he used to kill Ramzziddin. Tyndell was killed by police after a chase. Mitchell said it is difficult to make sure abusers who have guns turn them in or have them taken away. “Unfortunately the follow up to make sure that they don’t have the gun, that they’ve turned in guns that they have, is sometimes lacking,” Mitchell said. In Maryland, more than 50 people lose their lives each year due to domestic violence. “Abusers who have guns cause more domestic violence homicides than using all other weapons combined,” Mitchell said. Domestic abuse victims sometimes face many hurdles when they try to separate themselves from abusive spouses. Mitchell said sometimes abusers try to isolate and follow their victims. “We see that kind of isolation, intimidation, stalking behavior, can make it incredibly difficult for survivors who are seeking safety,” Mitchell said. Mitchell believes it will take law enforcement, the judicial system, victim advocacy groups and others coming together to come up with better ways to protect abuse victims and keep weapons out of the hands of abusers. “A strong commitment on the part of all the stake holders to share information about particular abusers or situations which appear to be particularly lethal would be a great first step in trying to address this problem,” Mitchell said.